The Hot Yoga Studio in Stellenbosch has come a long way since they opened their doors in 2013. What started off as a leap of faith has grown into a third-home for many students in the Cape Winelands area. The Hot Yoga studio has now expanded their offerings which now includes an annual 200 hour teacher training. After a successful training in 2018, they’re hosting another in 2019! We got in touch with Johannes Bertus, co-owner and training facilitator, to hear all about their studio and what you can expect on their upcoming courses. The Hot Yoga Studio is co-owned by Johannes de Villiers and Nolte Coetzee. Neither Nolte, a rugby jock, nor Johannes , a nerd, would be considered your “typical yogi”. That is what helped these two create a yoga studio for all people, not just the classic "yogi type". 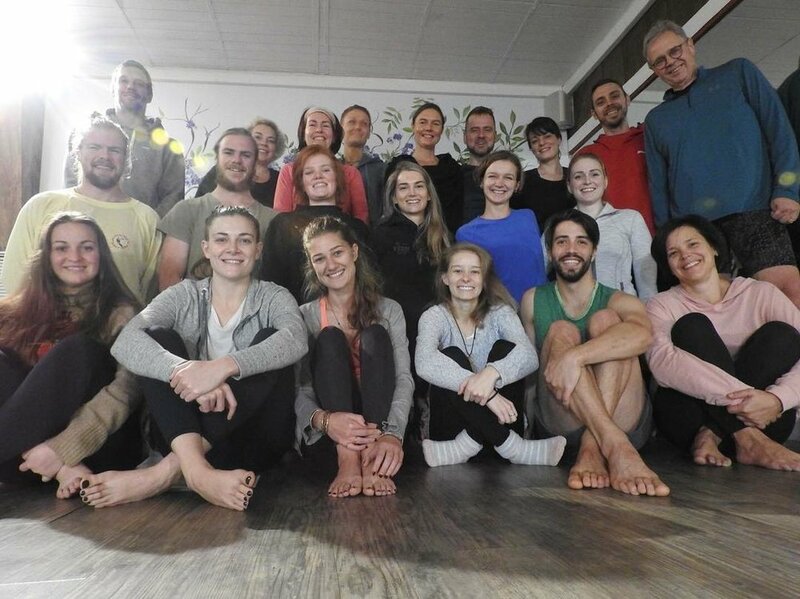 The result is that their students include many folks who have a background in various sports or training, who choose to complement their work with yoga. Johannes comes from a meditation background and is the author of a best-selling book, Kalmte in die Malle Gejaag; which is about mindfulness and meditation. 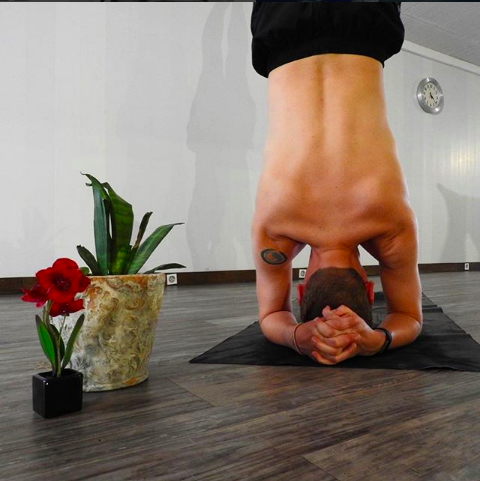 Although most of his yoga training has been in the formal, meditative styles of ashtanga, he is also one of the few qualified rocket-yoga instructors in South Africa. I guess you can say Nolte provides the “OOOMF” and Johannes provides the “OHM”. As the students of The Hot Yoga Studio grew in their practice, there were more and more requests for a teacher-training course. What they thought would be a small debut course in 2018, turned into a full 21 participants. The students consisted of a few locals, but also people from Somerset West, Strand and Franschhoek. The Hot Yoga Studio looks forward to hosting their next training in February 2019. 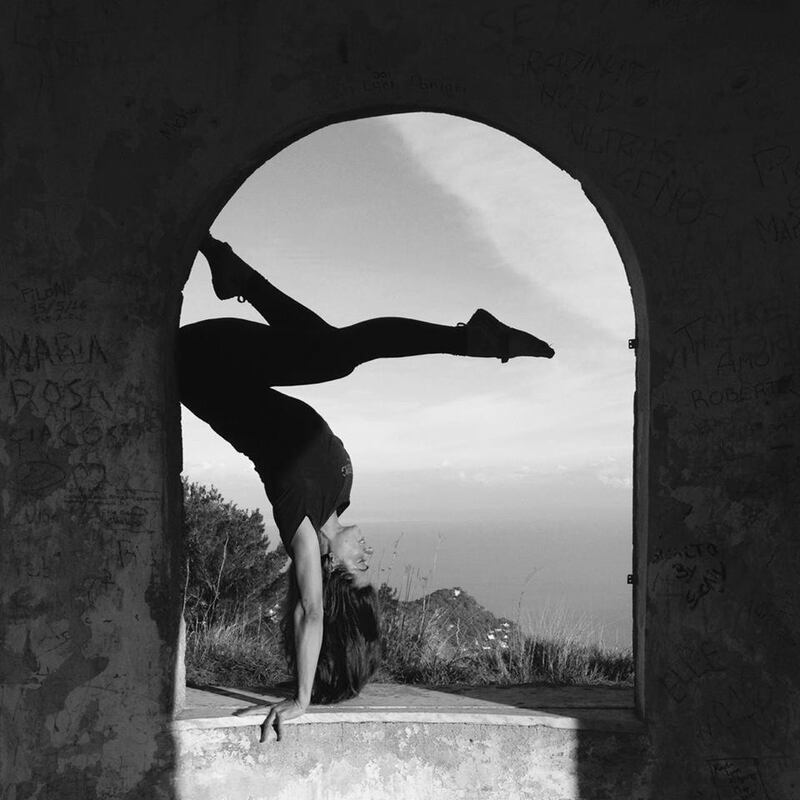 This training will also include fellow-facilitators like Sandi Blom, a very popular vinyasa teacher in Stellenbosch, and Nadia Botha, who ran a yoga studio in Italy before relocating to the Cape. Johannes, who further completed his Rocket Yoga qualification from It’s Yoga in Brighton, looks forward to incorporating this exciting new style into their 200hour training. Rocket Yoga, which is not so well known in South Africa yet, is based on the ashtanga sequence but with innovations. It incorporates postures from the intermediate sequence in the primary sequence, adds music and a few crazy arm balances, takes out a few poses and makes it all a huge lot of fun. The basis of their teacher training will be in the style of vinyasa with the focus on how to sequence a class as well as how to teach it. Students can expect to also guide classes such as bikram, progressive ashtanga, as well as the basics of Yin Yoga. This part-time course runs over weekends, making it accessible for students as well as those who work full-time. The 5 day intensive in the beautiful Overstrand town of Stanford will occur during the March holidays. Students will stay in a retreat space, eat healthy food, and practice from sunrise to long after sunset, every day while birds chirp and the river rushes in the background. says Johan de Goede, owner of Oshin Studio Yoga and Tai Chi who completed his training in 2018. One of the things that makes this teacher training so magical is that the students are taught how to sequence and teach a 60 minute vinyasa/ bikram and yin class before the training is over. “The best courses are the ones where students are encouraged to teach before they graduate.” says Johannes, reassuring that their amazing facilitators will be there every step of the way to ensure a safe space where you don’t have to worry about stage fright or forgetting your words - it’s a workshop environment where we work together to turn you into a yoga rockstar. The Hot Yoga teacher training is limited to 15 students in order to ensure individual attention.